Silica strengthens and supports healthy skin, hair, bones and nails. 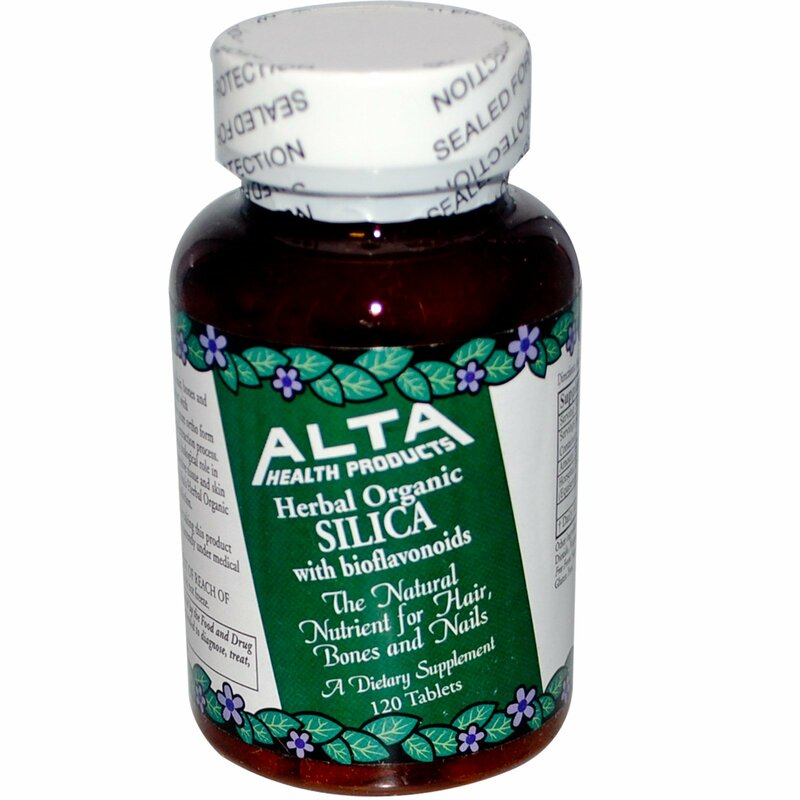 Using the finest quality Horsetail Extract with bioflavonoids, Alta Health Silica provides the pure ortho form of soluble/colloidal Silica by means of special extraction process. Silica is an essential trace mineral that plays a biological role in the processes by which bone, cartilage, connective tissue and skin are formed and is a component of collagen. 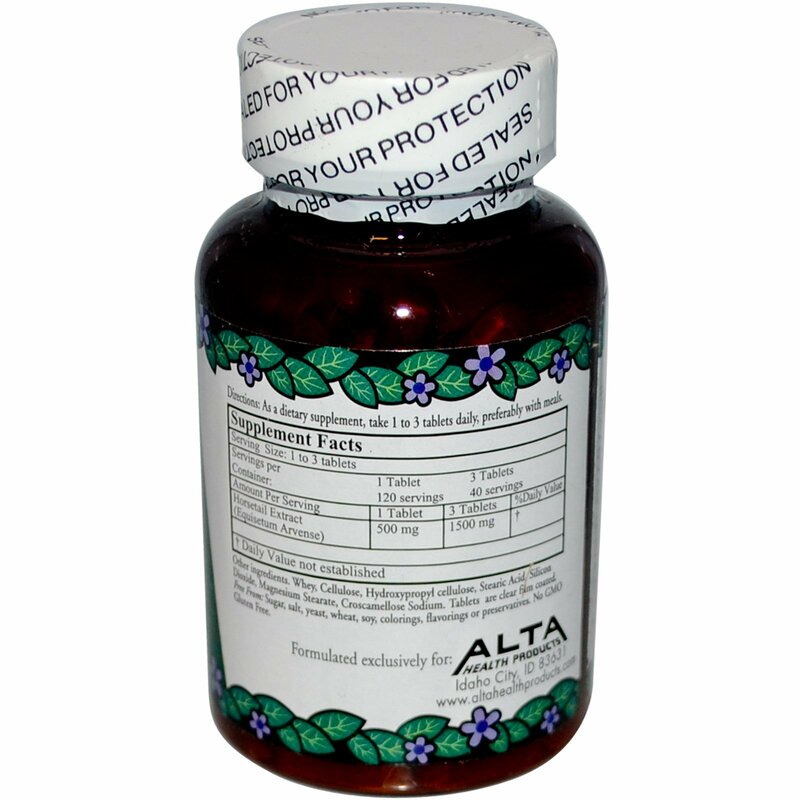 Alta's Herbal Organic Silica provides the best absorption and assimilation. As a dietary supplement, take 1 to 3 tablets daily, preferably with meals. Whey, cellulose, hydroxypropyl cellulose, stearic acid, silicon dioxide, magnesium stearate, croscarmellose sodium. Tablets are clear film coated.